Mix the flour and 1/4 cup bread crumbs together and set aside. 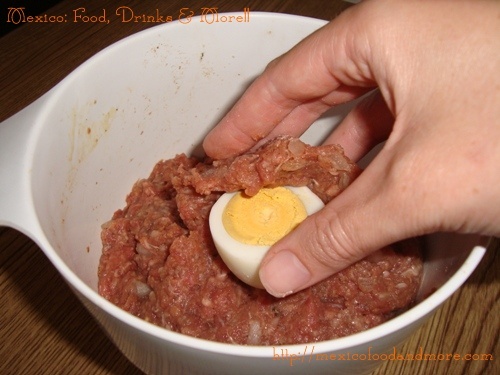 Completely cover each half of a hard-boiled egg with some of the meatball mixture, making 8 large meatballs. 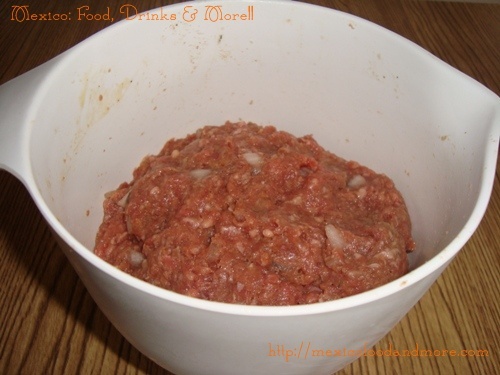 there should be enough meatball mixture remaining to make 8 regular medium-sized meatballs. 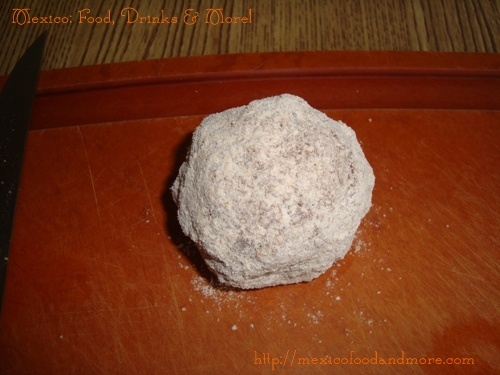 Roll each meatball in the flour and bread crumb mixture until thoroughly covered. Heat olive oil in a large skillet set over medium-high heat. 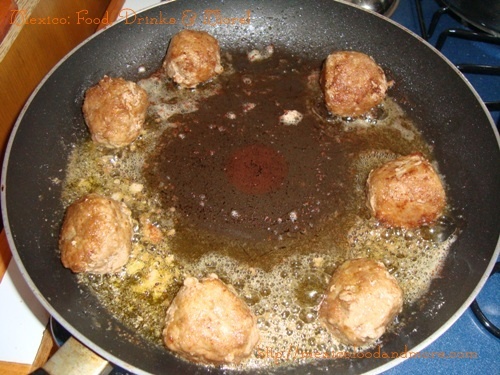 Fry the meatballs in two batches until cooked through and browned. Remove the meatballs from the skillet. 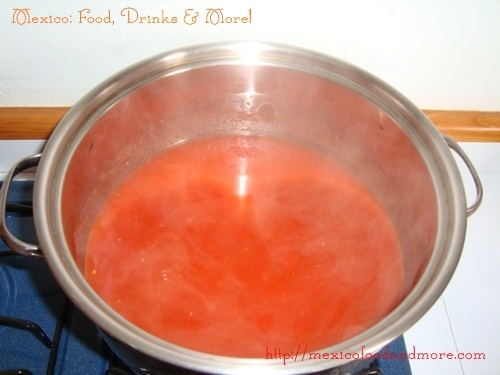 In a blender, combine the tomatoes, onion, garlic, chiles, and tomato puree and blend until smooth. Pour the sauce into a medium heavy-bottomed pot set over medium high heat. Add the chicken broth/buillon and bring to a boil, then reduce heat to low. Add the mushrooms, parsley, and salt and pepper to taste. 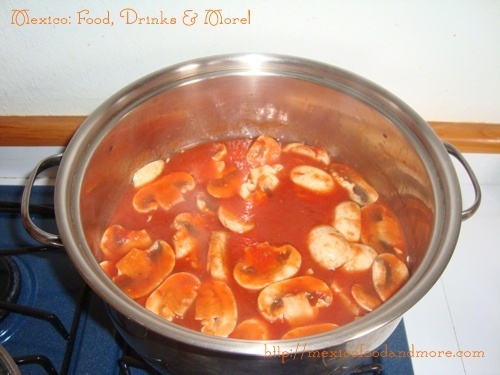 Simmer until mushrooms are tender. 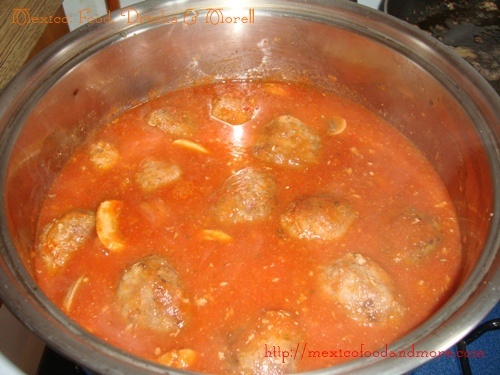 Add the meatballs to the sauce and simmer, covered, about 15 minutes. 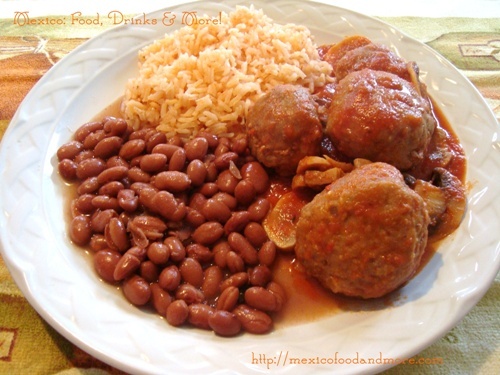 Serve hot with red rice, beans, and warm corn tortillas. This entry is filed under Beef. You can follow any responses to this entry through the RSS 2.0 feed. You can leave a response, or trackback from your own site.